Posted on 8, August 2016 by EuropaWire PR Editors | This entry was posted in Automotive, Business, Financial, Germany and tagged Audi 1H2016, automobiles, Axel Strotbek, Rupert Stadler. Bookmark the permalink. INGOLSTADT, 08-Aug-2016 — /EuropaWire/ — Worldwide growth in car deliveries and robust key financials: Since the beginning of the year, the Audi Group has delivered more than 950,000 automobiles of the Audi brand and increased its revenue to €30.1 billion. Operating profit amounts to approximately €2.7 billion before special items, representing an operating return on sales of 8.8 percent. Earnings were reduced by special items totaling €265 million. 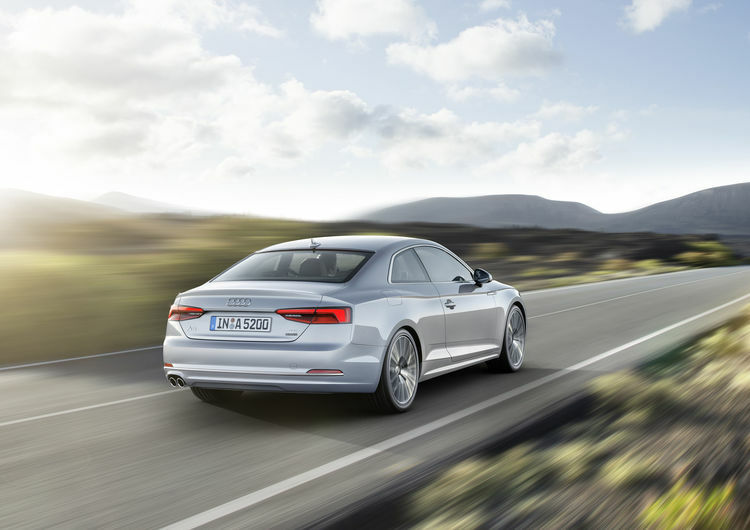 Renewed growth in deliveries underscores the attractiveness of the Audi brand. From January through June, Audi handed over 953,218 automobiles to their new owners (2015: 902,272), 5.6 percent more than in the first half of last year. The brand achieved growth in Europe, China and the United States, and thus in all core regions. Demand was stimulated in particular by the new generations of the Audi A4 and the top-end SUV, the Q7. The Audi Group’s revenue for the first six months increased to €30,134 million (2015: €29,784 million). Operating profit excluding special items amounted to €2,666 million (2015: €2,914 million), representing an operating return on sales of 8.8 percent (2015: 9.8 percent). The decrease compared with the prior-year period is partially due to high levels of advance expenditure, as well as currency effects. The company is putting its new plant in Mexico into operation in the second half of the year. Including special items of €265 million, the Audi Group’s operating profit for the first half of the year amounts to €2,401 million (2015: €2,914 million) and its operating return on sales is 8.0 percent (2015: 9.8 percent). The special items include provisions of €133 million in connection with Takata airbags possibly susceptible to faults. In addition, Audi has increased its provisions for technical actions, legal risks and sales actions by €132 million in connection with the V6 3.0 TDI issue. The Audi Group’s financial result reflects the volatile development of global interest markets in the form of negative one-time effects. Influenced by this impact, the company achieved profit before taxes of €2,190 million in the first half of the year (2015: €3,150 million); profit after taxes amounts to €1,682 million (2015: €2,429 million). The net cash inflow for the first half of the year increased to €2,085 million (2015: €1,747 million). Net liquidity rose to €17,150 million (2015: €16,420 million). Axel Strotbek, Member of the Board of Management for Finance and IT, said: “We are making use of the financial strength of the Audi Group and shape our future with our own earnings. We will further increase our advance expenditure in the second half of the year.” An amount of €1,238 million was invested in property, plant and equipment in the months of January through June. The company plans investment in property, plant and equipment of more than €3 billion in full-year 2016. “We will increase efficiency in all areas of the Group in order to safeguard our course of innovation and investment,” said Strotbek. For the key strategic areas of the future, Audi recruited approximately 600 new employees between January and June. That will increase to the number of about 1,200 new experts by the end of this year. Furthermore, Audi is increasing the number of apprenticeships by ten percent. This means that for the first time, approximately 800 young people will start their job training in Ingolstadt and Neckarsulm this September. In the full year, the Audi Group once again plans to deliver more automobiles with the Four Rings than in the previous year. Depending on economic conditions and the development of currency exchange rates, the company also anticipates moderate revenue growth. For its operating return on sales before special items, which reflects the ongoing business, the premium manufacturer expects a figure within its strategic target corridor of eight to ten percent. Including special items, the Audi Group currently anticipates a percentage slightly below this corridor.